Join us on Fridays for our Lent specials! 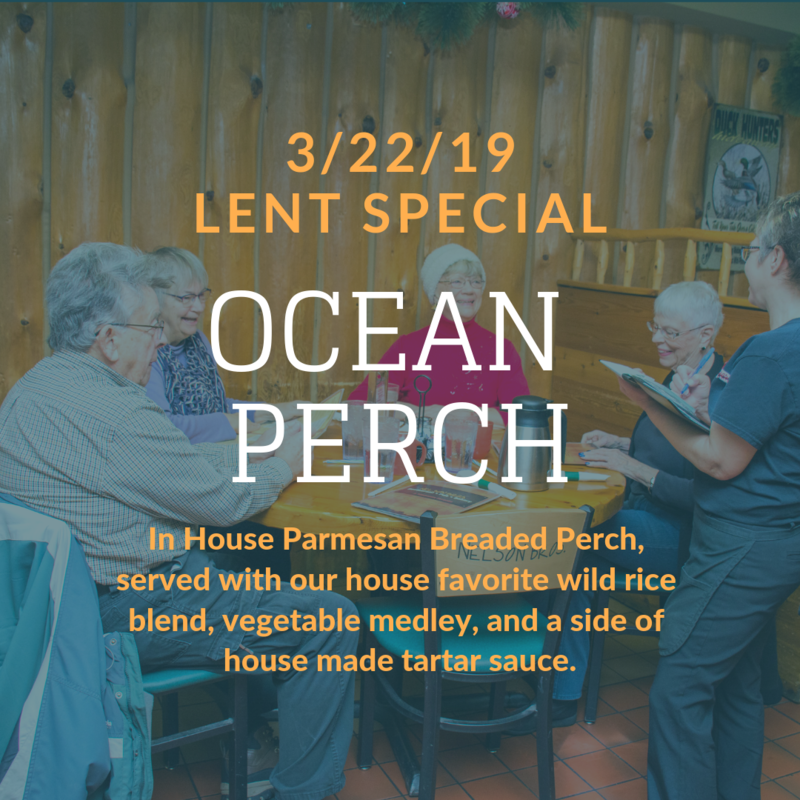 Join us on March 22, 2019 for our Ocean Perch Lent special. Ocean Perch: In House Parmeasan Breaded Perch, served with our house favorite wild rice blend, vegetable medley, and a side of house made tartar sauce.